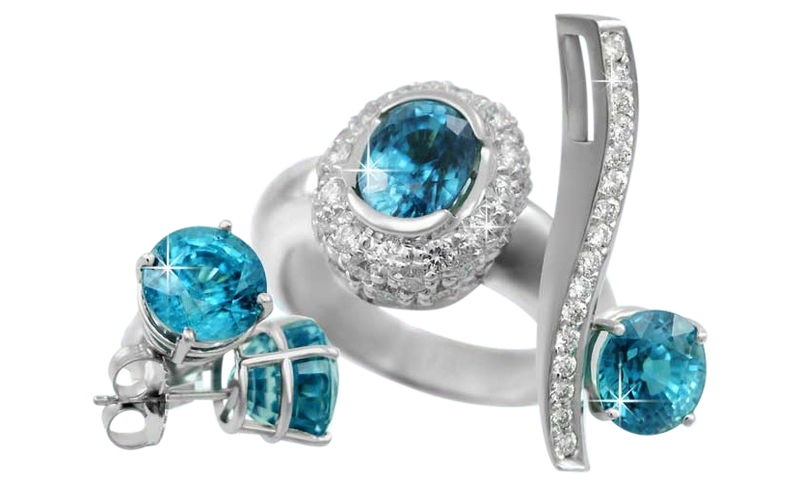 With deep blue reminiscent of Alaska’s glaciers, Glacier Ice is a special variety of natural Blue Zircon available only at Alaska Jewelry. 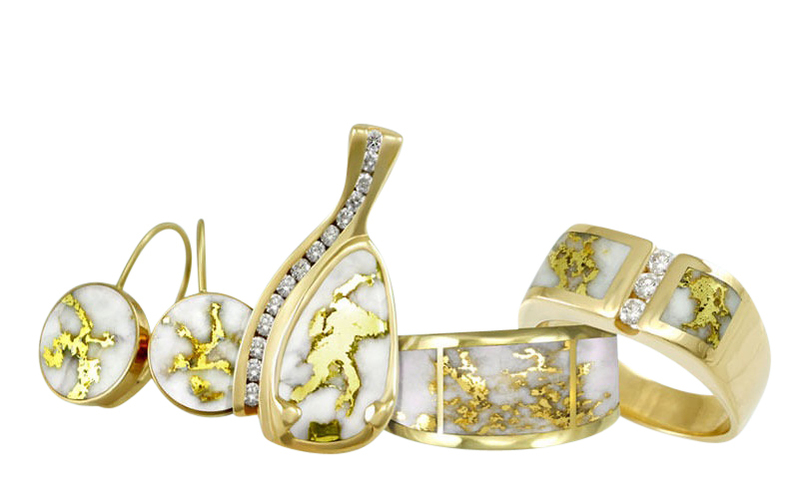 Made by nature, each of our Gold Quartz stones is a snapshot of a prehistoric moment frozen in time. No two are identical, just like our customers. 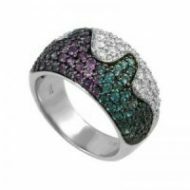 Deep and tranquil green/blue by day and passionate red/purple by candlelight, Alexandrite is the original color changing gemstone. Yes, they actually move. Yes, they are very durable. Yes, you can have one. 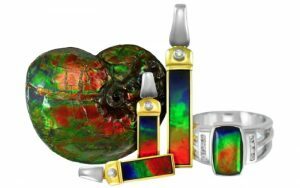 With all the colors of the rainbow, this exceedingly rare gem is the fossilized shell of the ancient Ammolite. No two are alike. 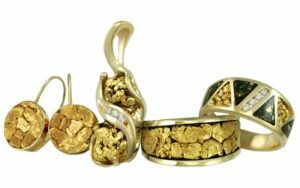 We only use all natural gold nuggets in our jewelry. Averaging 22k gold, each one of our gold nuggets is unique. Remind you of someone? Dear Alaska jewelry – How exciting it was to receive my package from you. 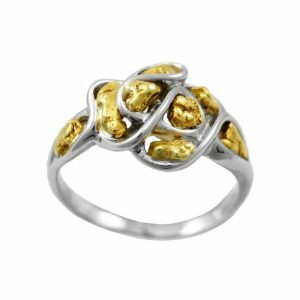 The ring I ordered was far more beautiful than pictured. It exceeded all my expectations and is something I will cherish. 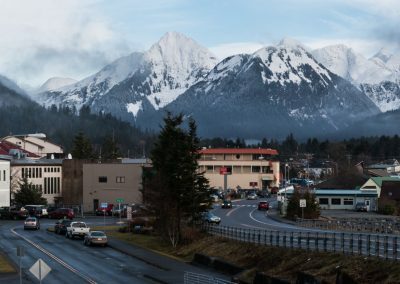 My dream is to Sitka some day and actually visit your store and beautiful state, but for now I feel a have a little piece of it. Thank you so much for your service and beautiful jewelry. 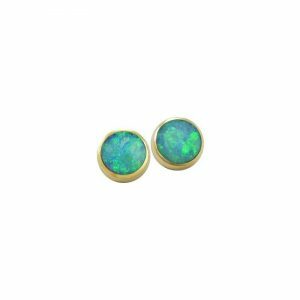 Just wanted to let you know that the beautiful little earrings arrived UPS this morning. As promised you were able to get them to me before my deadline to leave for my reunion. Much thanks, really appreciate the expedited order. 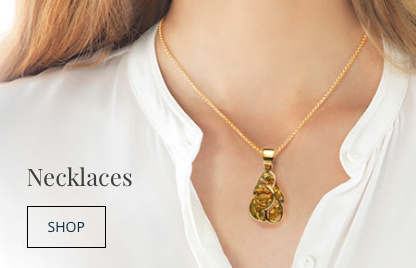 They are lovely and complement my ring and pendant perfectly. I received the package today and I couldn’t be happier. 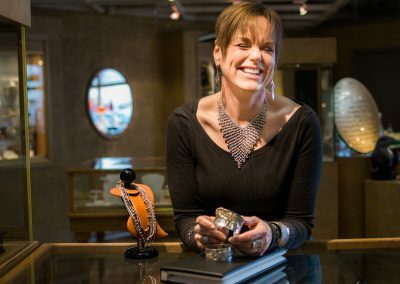 My gold-in-quartz jewelry that I had purchased during a trip to Alaska several years ago was stolen last month when I was in South Africa. I was so upset about it and then I found your website. I almost cried when I saw the ring. It is an exact match to the one that was stolen. The pendant is different, but I just love it. I never dreamed I would be able to replace that ring and it was a favorite that I wore it all the time. Thank you again from a VERY satisfied customer. Just a note to tell you my ring arrived and I couldn’t be happier and your service is among the best I have ever experienced. I will be happy to recommend you to my friends and look forward to doing business again in the future. I cannot thank you enough for all the help you were with the purchase the teufel ring, pendant and chain. From the initial phone call you were extremely knowledgeable of the articles, never pushy, and followed up immediately. Additionally, your follow up with the status of each order and delivery was above and beyond. All 3 shipments arrived on time with the items as promised. You are a great representative of your company. 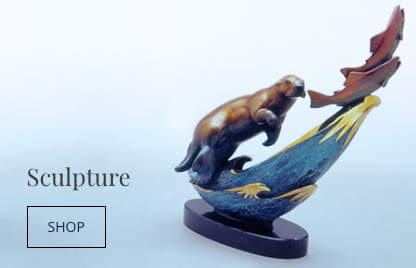 Keep up the good work and I would not hesitate to purchase from or refer a friend to the goldsmith gallery. Hello! My John Hardy Padi Twist ring arrived, last Friday. I love it and it is a wonderful addition to my other JH pieces. 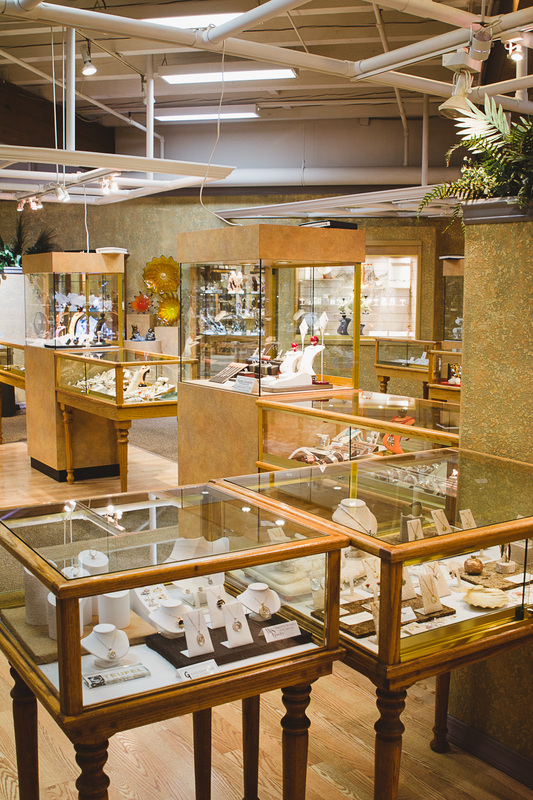 It has been a pleasure to deal with Alaska Jewelry. 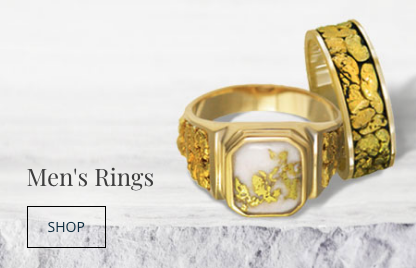 I’m, still, always a bit hesitant to order things off of the Internet, especially jewelry, but everyone I spoke with on the phone was very helpful and the service was very prompt. 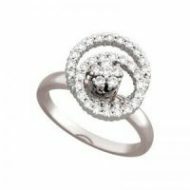 I will have no hesitation to order from you again, or to recommend you to someone interested in jewelry, but everyone I spoke with on the phone was very helpful and the service was very prompt. 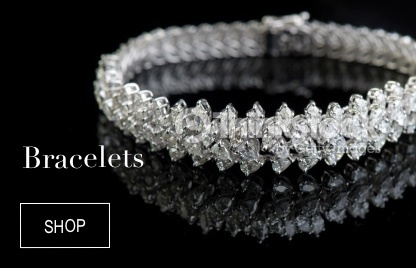 I will have no hesitation to order from you again, or to recommend you to someone interested in jewelry. Thanks, again, and I am enjoying the ring! Thank You, Thank You, Thank You!!! We received the ring early Friday morning and it was just perfect!! It looks just like the ring my mom had stolen. She got it as a souvenir on a vacation to Alaska, we thought it was irreplaceable. You deserve a commendation for the wonderful friendly service you provided. 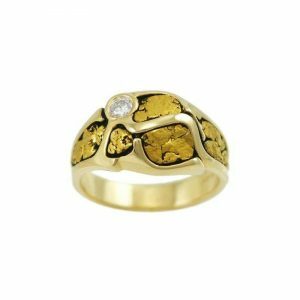 My only regret is that you are located all the way in Alaska, otherwise you would definitely be my jeweler of choice!! I’m sure it will be a great Mothers day gift. Got my ring yesterday and it is GORGEOUS! It looks so rich and radiant. The design is even more beautiful each time I gaze at it. It has great energy! Thanks for your craftsmanship! I received my pendant today. 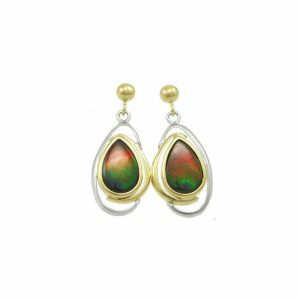 The ammolite stone is absolutely beautiful…it’s exactly what I was looking for. 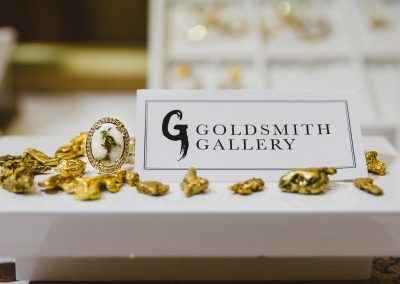 I will recommend you and Goldsmith Gallery to everyone. The service I received was outstanding. Thank you so much. Have received my order and I agree, it turned out very nicely. I’m very impressed. 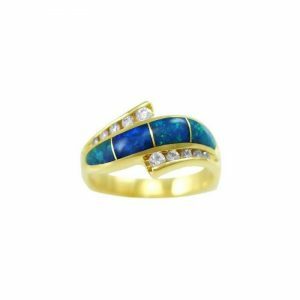 Thank you very much for your assistance, and after my experience with my order through Alaska Jewelry, I will definitely be doing business with you in the future. Just thought I’d drop you a quick note to say how impressed I am with the ring. It arrived today, apparently ahead of schedule. It is beautiful in a refined kind of way. 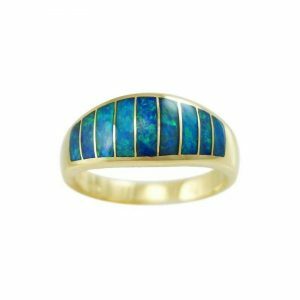 Rather than being flashy, it reeks of quiet elegance, as one might expect from an heirloom ring passed from one generation to the next. Beautiful! Thanks for your help and advice. I got my ring tonight. AWESOME!!! You are terrific and please use this note as a testimonial to your quality and delivering a product that is exactly what you promise to deliver. I got “THE RING” yesterday (it is so beyond amazing that it warrants capital letters). You will never be seeing this ring again and it is never coming off my finger!! It is even more stunning than I could have ever imagined and even the pictures you sent me, as nice as they were, don’t do it justice. I want to thank you for all of your help in finding the perfect ring. You really went above and beyond and I have never had such wonderful customer service as I did from you. Thank you again so much and, if I ever have more money to blow, you can count on hearing from me again. My wife’s valentine gift arrived and the package was severely damaged, causing damage to my order. With only a few days before valentine’s day, and the help from the wonderful people from Alaska Jewelry, I received a new ring in time for the big day. I appreciate all the extra effort from the folks at Alaska Jewelry. 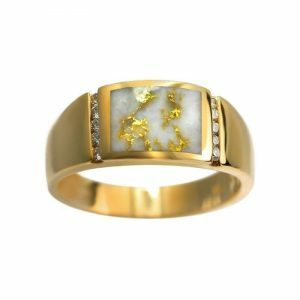 My wife loved the ring, and I will highly recommend Alaska Jewelry. Received my order yesterday, and it is absolutely perfect! Thank you so much for your speedy, efficient, quality handling of my order for the wedding ring. It’s stunning, and I know he’ll be so pleased! You guys rock, and you have a repeat customer, for sure! Received my Asch Grossbardt earrings-and they are exquisite. 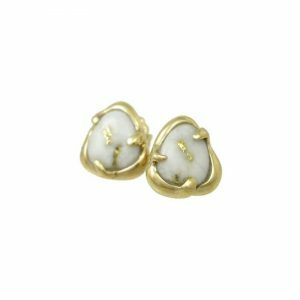 The workmanship is outstanding and each time I wear them I get nothing but wonderful comments. Will keep looking at your site for new pieces. Greta M.
WE RECEIVED THE RING AND IT IS BEAUTIFUL. I GAVE TO MY HUSBAND ON OUR ANNIVERSARY AND HE LOVED IT. THANK YOU SO MUCH! I HOPE TO ORDER FROM YOU AGAIN IN THE FUTURE. Hey Cleve…just received the ring…SUPERB! Even nicer than I imagined…didn’t realize that the entire ammolite was faceted. Colors are sensational. Fit is perfect. gold weight is very substantial. I will definitely not hesitate to do business again with you and will recommend you and your gallery to friends and relatives with great enthusiasm. 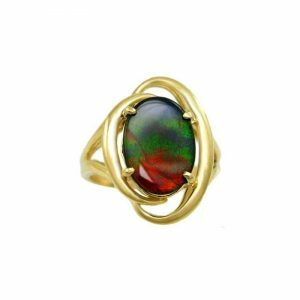 Once again thank you for everything…my ammolite ring is truly a masterpiece. Oh my gosh! 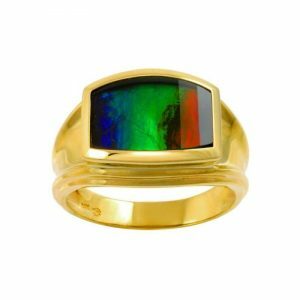 The two ammolite rings are beautiful! I absolutely love them! Thank you so much Cleve. Now I can’t wait to see the spinner ring. I know it won’t be until sometime in April for the spinner ring and that is okay. it is something to look forward to! Have a good day and thank you again! It arrived today and is a perfect fit!! Again, thanks for your efforts. Got the ring this morning. Looks great!!! Thanks for everything. We’ll definitely do business again. Just wanted to say THANKS! Got the ring today and it looks great! Great job and thanks again. Just read your E-mail for a Merry Christmas and wish to wish you and the whole Jewelry Gallery a Merry Christmas and all Good wishes for a Happy New Year. From myself and Ruth Rutan who bought a small nugget at your store. We both are very happy with them and I personally wear my every day. Thank you again. Thank you for your speedy response to my inquiry. I believe you helped me last summer when I bought the wedding ring for my husband. A stunning purchase, and it was a great wedding. Thank you again. Just to let you know we received the beautiful bracelet. My wife, Mary Lou really likes it so do I. 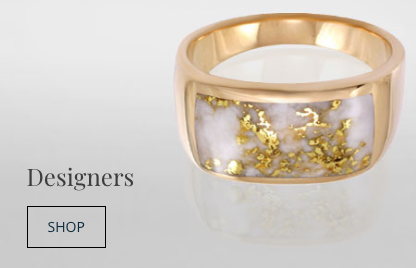 It is really lovely – so much gold in the quartz. It arrived here in excellent condition in our mail around noon. Thanks ever so much for all your time and courtesies. Thanks again. She loved the bracelet!!! Nice picture on the web site. Happiest of New Years! Thanks. I just wanted to let you know that the 2 gold nugget pendants with the special bails you put on them arrived yesterday and I really do love the both of them. They are exactly as I hoped for. Thanks Cleve for everything and thanks Laura for talking with me on the phone regarding the tracking and delivery of this order. the smaller nugget my wife is now wearing and she really loves it. You should have seen her eyes light up when I presented it to her! That moment was priceless! Anyway, thanks so much for all your work in getting these nuggets that I was looking for and getting them to me safely, also! 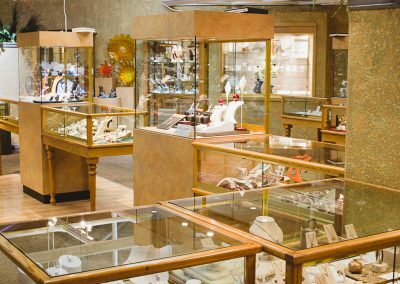 I will DEFINITELY keep goldsmith gallery in mind whenever I next need to purchase jewelry, and have recommended you to some of my friends…Take care. 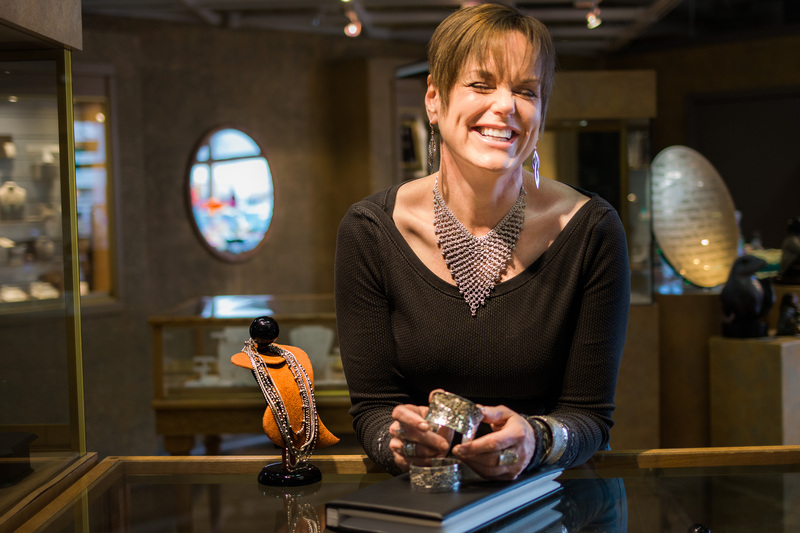 Back at work after a wonderful vacation in Alaska…One of the Highlights being…stopping into your store…it was a pleasure meeting you unique and classic designs. 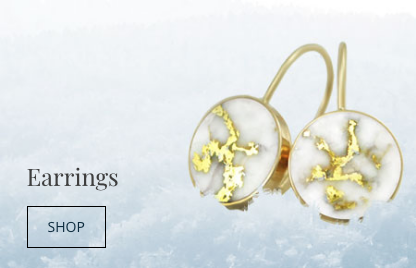 I have rec’d numerous compliments on my “Glacier Ice” pendant and look forward to receiving the earrings to match. Thanks for all your help – and Iook forward to working with you. Thank you so much for your help! 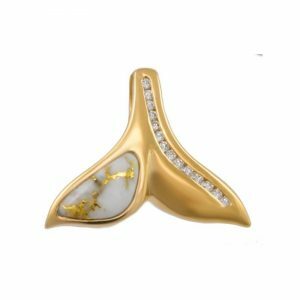 I have ordered the pendant through Goldsmith gallery. I also have purchased one of the rings through them. they are a great store and have represented your product very well. my plan was to buy the ring at ******* but because the folks at the Goldsmith were so awesome, and they can get the ring to me by my wives birthday, I am glad to give them my business. We fell in love with your store this week. We were in on a Holland America cruise from Seattle. Were the type of couple that does their own thing. We nose around and choose not to participate in the group tours. 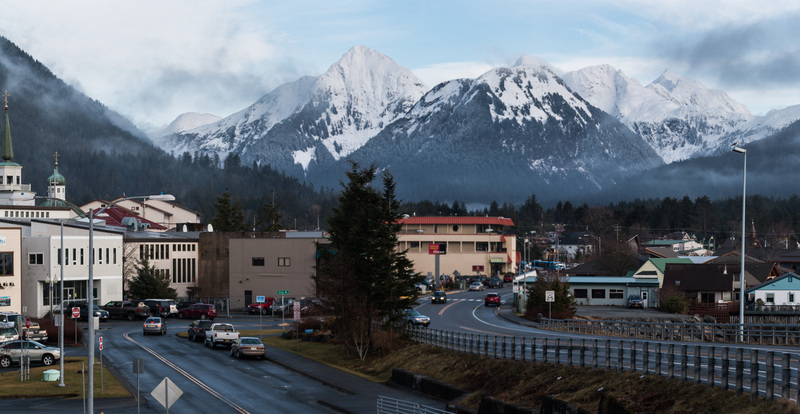 First of all…we think Sitka is a dream rather resort like. A place we want to return to. The harbor is wonderful. The hand blown glass works are extraordinary in your store…such talented artists. Your staff is also a compliment to you. 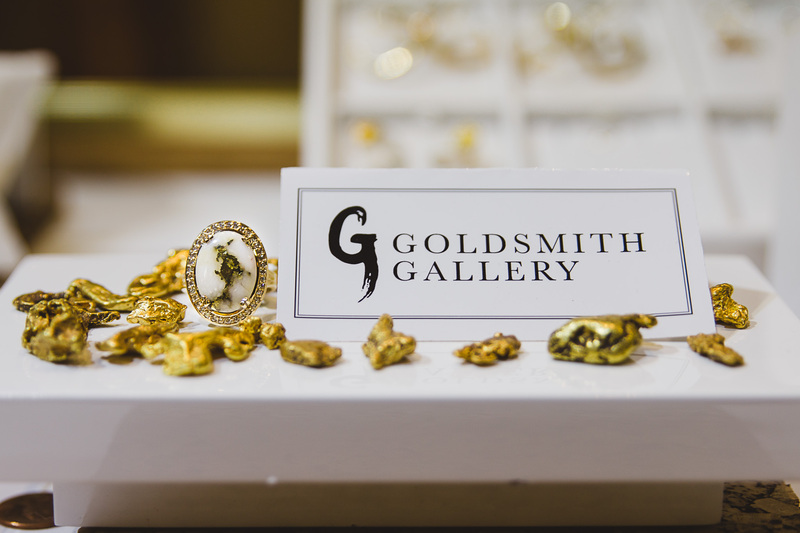 We simply had a memorable time at the Goldsmith Gallery. got the ring last week in Florida. I LOVE it! its fabulous…Many thanks for making it so easy! thank you so much, you have been so nice. It is great to deal with a company that is so customer oriented. It arrived in perfect shape and I do both admire it and enjoy having it to wear. You and your company really know how to treat a customer and that was much appreciated by me. Thanks again for your courtesy and efforts. I gave the ring to my fiance and she loved it. Thank you very much for making this process easy for me.